Most of us today have at least heard of Uber and a fair number of us may have very well used this service. Uber is a peer-to-peer ridesharing, taxi cab, food delivery, and transportation network company. Its headquarters is located in San Francisco, and operates in more than 633 cities worldwide. Users access the platform through their mobile app or website and scheduled rides, much like one would order a pick up from a taxi service. Uber has been prominent in many large cities throughout the United States and has had such an impact on the way people travel and arrange for transportation and commuting needs that some have taken to referring to ride-share and peer-to-peer transportation services as the Uberisation of the transportation industry. In the early months of 2009, Uber was launched and in two years time it was sold to new owners for a staggering $19 million. From there, the company grew and expanded to the global giant it is today. In 2015, Uber completed its 1 billionth ride. In October 2016, 40 million riders used the service in that on month alone and those riders spent approximately $50 on average per month on the Uber services. At the beginning of 2017, Uber’s share of the United States ride hailing market was 84%. The number dropped to 77% in May, according to Second Measure, possibly due to challenges and controversies faced by the company as lawsuits began to form as complaints about employee harassment, payroll mismanagement, and discrimination in driver selection and passenger payment fees were becoming more and more common. Obviously, it hasn’t all been sunshine and rainbows for the ride-sharing company. They have been getting into a deal of legal trouble over the last five or so years and unfortunately this is something that does not seem to be going away nice and quietly and quickly for the company. In late 2017 to early 2018 Uber came under legal investigation, and not for the first time either. “Uber Technologies’ chief people officer Liane Hornsey resigned in an email to staff Tuesday, following an investigation into how she handled allegations of racial discrimination at the ride-hailing firm. 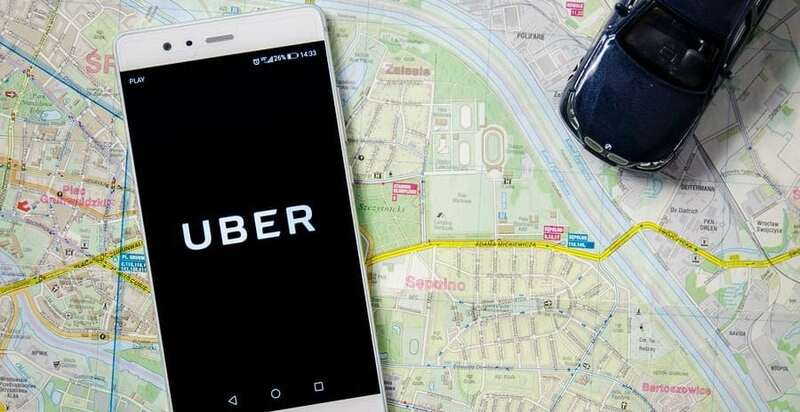 The resignation comes after Reuters contacted Uber on Monday about the previously unreported investigation into accusations from anonymous whistleblowers that Hornsey had systematically dismissed internal complaints of racial discrimination… widespread issues of gender discrimination and sexual harassment. The allegations raise questions about chief executive Dara Khosrowshahi’s efforts to change the toxic culture of the firm after he took over in August last year from former CEO Travis Kalanick following a series of scandals” (New York Post). And now as if things were not already bad enough, this newest lawsuit against Uber comes on the heels of another suit that was filed against Travis Kalanick and Garrett Camp. This lawsuit was from a fear years ago and sought to hold Uber management and CEOs personally liable for the wages owed to California Uber drivers that ended up being withheld from them due to poor payroll management and miss labeling of the workers status and hours worked. “Recent scandals have put Uber on such shaky ground that a lawyer representing aggrieved drivers has filed a lawsuit against Travis Kalanick and Garrett Camp — the ride-hailing firm’s co-founders — in case the company doesn’t survive long enough to defend itself…Shannon Liss Riordan acknowledged that her new filing shares many similarities with a 2013 class action suit she filed alleging Uber wrongly classified drivers as independent contractors” (Los Angeles Times). The company has survived the five years since this lawsuit but they still are obviously on shaky ground and have a long way to go to get out from under all the legal scrutiny and public concern that is now hanging over the company. While Uber has grown by leaps and bounds since it was first started in 2009, it has not been without its fair share of issues when it comes to public opinion. Protests have been common in many states and countries from the start, mostly involving taxi drivers who see Uber and similar ride-share transportation services as a direct attack on their jobs and a major threat to their income and ability to work. There have also been protests regarding the way the drivers are treated and at times abused and harassed for the sake of making more money for the company stock holders and CEOs. While it is apparent that services like those provided by Uber are in demand and needed by many people today it is also showing the dynamic world of public transportation and the complex world of transportation services. It is also shedding light on the need for greater control and regulation non the management side to ensure those serving as drivers and those using the services are all treated fairly and given the same quality treatment. What lies ahead for Uber remains to be seen. Time will tell where the current lawsuit will lead and what the company will do to correct the problems that got them to this position in the first place. All we can do is watch and wait and use our best judgment when deciding to use services like those offered by Uber.